What did Johnson do before entering politics? When did he begin his political career? What did he rise up to before 1960? What kind of reputation did he have? What was Vice President Johnson's relationship with President Kennedy like? How did Johnson become President? 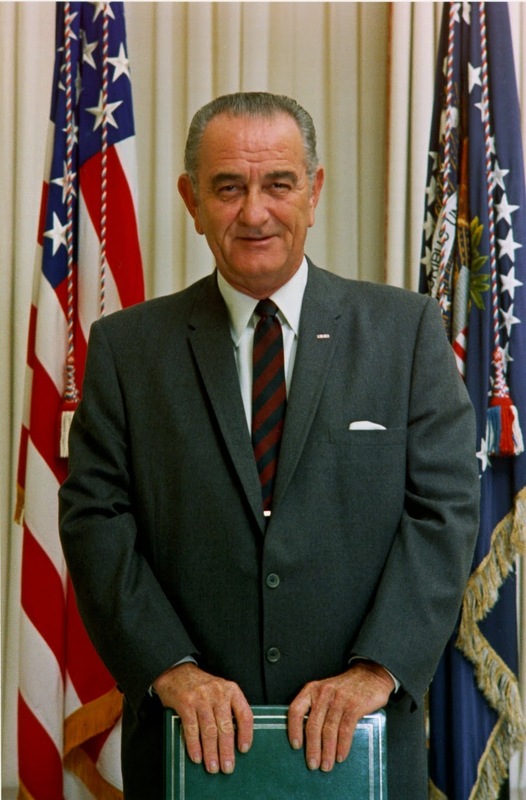 Who did he take on in the 1964 presidential election? What social issues did Johnson want to address? What legislation did he pass in 1964 and 1965? How were his domestic policies helped by the 1964 elections? What was the Great Society? What was Medicare and Medicaid? How did Vietnam come to dominate Johnson's presidency after 1964? He believed in the Domino Theory - what is that? How did the events at Tonkin Bay change the war? How did Johnson use the Tonkin Resolution? How many troops did he send to Vietnam by 1968? How did the Tet Offensive impact the war? Why did public opinion begin to turn against Johnson and the war? What happened to Johnson in the 1968 New Hampshire primary? What big political decision did he make afterwards? What measures did he take to try to end the war? Were these measures continued by his successor? 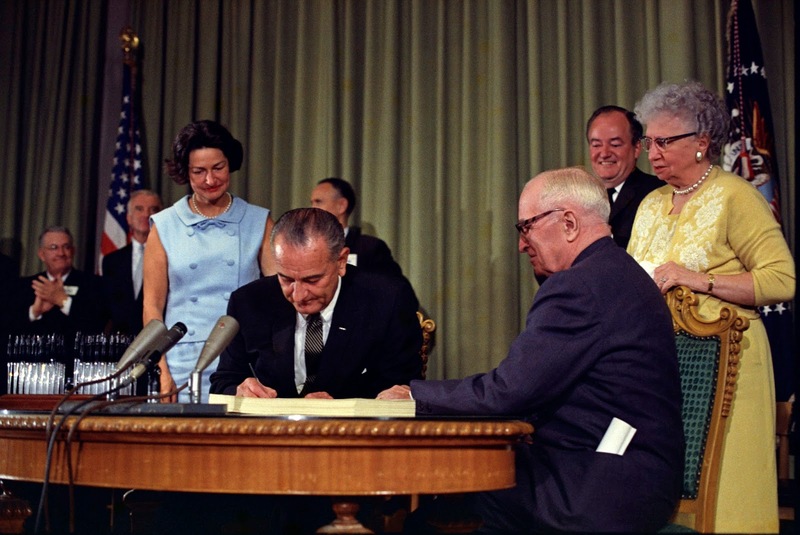 President Johnson signs Medicare into law, with former President Harry Truman and his wife Bess next to him. 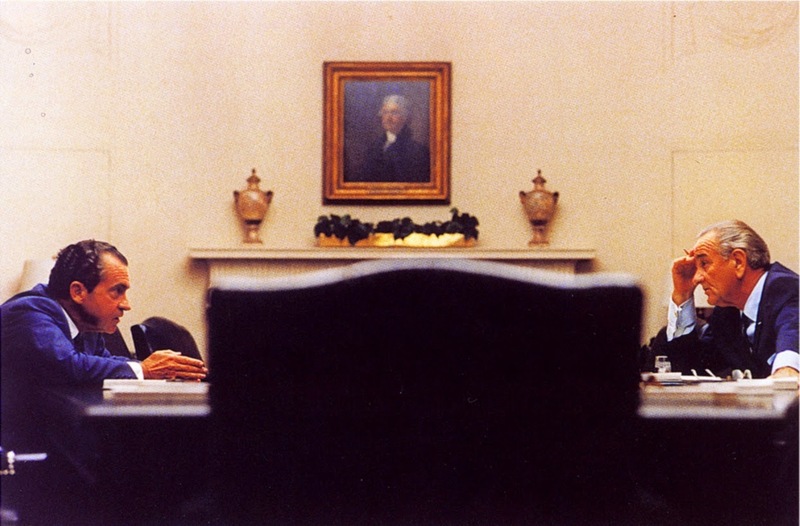 President Johnson with Richard Nixon, the man who succeeded him as President.